These 15 predicted trends will shape the big data and analytics market in 2017. Along with social, mobile and cloud, analytics and associated data technologies have earned a place as one of the core disruptors of the digital age. 2016 saw big data technologies increasingly leveraged to power business intelligence. Here's what 2017 holds in store for the data and analytics space. Platforms that can process the three Vs with modern and traditional processing models that scale horizontally provide 10-20X cost efficiency over traditional platforms, he says. Google has documented how simple algorithms executed frequently against large datasets yield better results than other approaches using smaller sets. Schroeder says we'll see the highest value from applying AI to high volume repetitive tasks where consistency is more effective than gaining human intuitive oversight at the expense of human error and cost. Companies focus on business- driven applications to avoid data lakes from becoming swamps. In 2017 organizations will shift from the "build it and they will come" data lake approach to a business-driven data approach, Schroeder says. Today's world requires analytics and operational capabilities to address customers, process claims and interface to devices in real time at an individual level. For example, any ecommerce site must provide individualized recommendations and price checks in real time. Healthcare organizations must process valid claims and block fraudulent claims by combining analytics with operational systems. Media companies are now personalizing content served though set top boxes. Auto manufacturers and ride sharing companies are interoperating at scale with cars and the drivers. Delivering these use cases requires an agile platform that can provide both analytical and operational processing to increase value from additional use cases that span from back office analytics to front office operations. In 2017, Schroeder says, organizations will push aggressively beyond an "asking questions" approach and architect to drive initial and long term business value. Blockchain transforms select financial service applications. In 2017, there will be select, transformational use cases in financial services that emerge with broad implications for the way data is stored and transactions processed, Schroeder says. Blockchain provides a global distributed ledger that changes the way data is stored and transactions are processed. The blockchain runs on computers distributed worldwide where the chains can be viewed by anyone. Transactions are stored in blocks where each block refers to the preceding block, blocks are timestamped storing the data in a form that cannot be altered. Hackers find it theoretically impossible to hack the blockchain since the world has view of the entire blockchain. Blockchain provides obvious efficiency for consumers. For example, customers won't have to wait for that SWIFT transaction or worry about the impact of a central datacenter leak. For enterprises, blockchain presents a cost savings and opportunity for competitive advantage, Schroeder says. Machine learning maximizes microservices impact. This year we will see activity increase for the integration of machine learning and microservices, Schroeder says. Previously, microservices deployments have been focused on lightweight services and those that do incorporate machine learning have typically been limited to "fast data" integrations that were applied to narrow bands of streaming data. In 2017, we'll see development shift to stateful applications that leverage big data, and the incorporation of machine learning approaches that use large of amounts of historical data to better understand the context of newly arriving streaming data. Real-time machine learning and analytics at the edge. Smart devices will collaborate and analyze what one another is saying, Hortonworks says. Real time machine-learning algorithms within modern distributed data applications will come into play — algorithms that are able to adjudicate 'peer-to-peer' decisions in real time. Data will be everyone's product. Data will become a product with value to buy, sell or lose, Hortonworks says. There will be new ways, new business models and new companies looking at how to monetize that asset. The emergence of the data engineer. The term, "data scientist," will become less relevant, and will be replaced by "data engineers," DataStax says. Data scientists focus on applying data science and analytic results to critical business issues. Data engineers, on the other hand, design, build and manage big data infrastructure. They focus on the architecture and keeping systems performing. 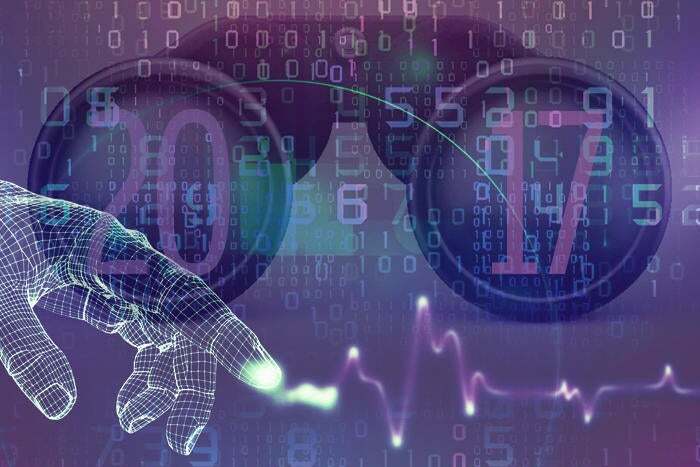 Security: Growth of IoT leads to blurred lines. IoT's growth has largely gone unchecked, DataStax says. With a lack of standards and an explosion of data, it isn't entirely clear who is responsible for securing what. Most at risk are ISPs, which is why we'll see these providers take a leading role in the security conversation in the year ahead, DataStax says.